Nine 3D rendered images created with Bryce 4 by airbrush artist, Toni Lea Combs. 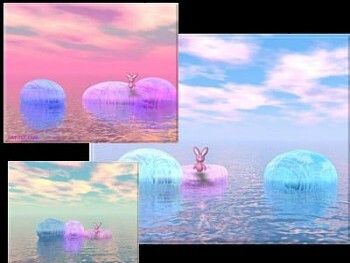 These images have a bunny in them which young children will get a kick out of. Screensaver and all images copyright ART-TLC ©. Music is an Easter medley.